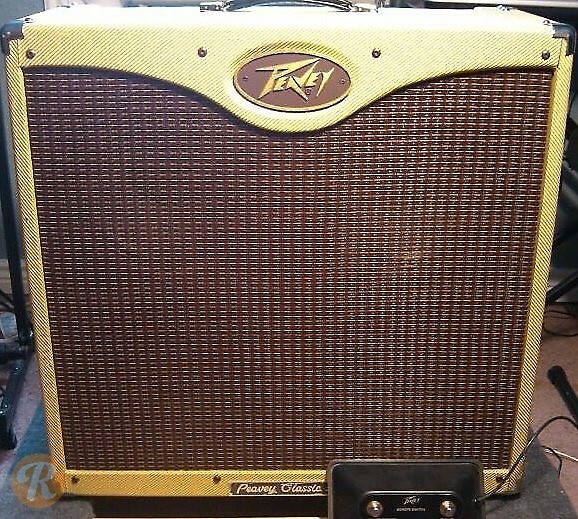 The Peavey Classic 50 comes as a both a 2x12 combo and a 4x10 combo. It is offered in a classic tweed, modern black tweed and black tolex. The standard issue speakers are Peavey's own Blue Marvels with EL84 tubes. Includes a footswitchable high-gain channel.